November 2, 2017 at the National Scientific Centre «V.Ye. Tairov Institute of Viticulture and Winemaking» NAAS of Ukraine conducted the International Tairovsky Readings «Scientific approaches to solving the problems of viticulture of Ukraine in the conditions of global climate change and world markets» devoted to the 80th anniversary of the birth of an outstanding scientist in the field of viticulture, Doctor of Agricultural Sciences, Professor, Corresponding Member of the Ukrainian Academy of Agrarian Sciences of Alexander Dmitrievich Lanoy. 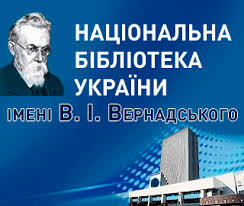 The organizers of the lectures were the National Academy of Agrarian Sciences of Ukraine, the National Scientific Centre «V.Ye. Tairov Institute of Viticulture and Winemaking» NAAS of Ukraine with the support and support of the NGO «Center for Development and Legal Support of the Village», as well as the NGO «Odessa-Armenian Community». The event was attended by scientists of scientific institutions and higher educational establishments of Ukraine and foreign countries – Belarus and Moldova; teachers, post-graduate students and students of Odessa State Agrarian University, Odessa National Academy of Food Technologies; Valentina Lyanna – wife of Lyanny O.D., colleagues, friends and students who worked at that time at the Institute. An opening word for the work of the International Tairovsky readings was opened by the director of the National Scientific Centre «V.Ye. Tairov Institute of Viticulture and Winemaking» NAAS of Ukraine academician NAAS Vlasov Vyacheslav Vsevolodovich. Hrenovs’kov E.I, Doctor of Sciences in of agricultural, professor, head of the department shared the warm memories of the scientist and colleague. Department of Horticulture, Viticulture, Biology and Chemistry, Odessa State Agrarian University; Podgorna D.M., Cand. Sci. Pulatova E.H.; Belyakova Z.M. etc. Sunny long-term work of Lyannyi O.D. and significant scientific achievements in the field of viticulture were awarded medals. V.E. Tairov, which was given to the family of a scientist. During the conference were heard reports: O.I. Gryzuka, MD, professor, head. Department of Biochemistry of the Gomel Medical University – «Bioavailability and metabolism of food polyphenols in the body»; I.O. Ishchenko, assistant professor, Ph.D., dean of Agrobiotechnical faculty of Odessa State Agrarian University – «Features of growth and fruiting of grapes grown on terraces in the coastal zone of the Black Sea»; N.V. Smirnova, Candidate of Economic Sciences, Associate Professor of the Department of Management of the Faculty of Engineering and Economics of the Odessa State Agrarian University – «Prospects of using IT technologies in the management of winemaking and wine-making enterprises»; SA Bondarenko, Cand. 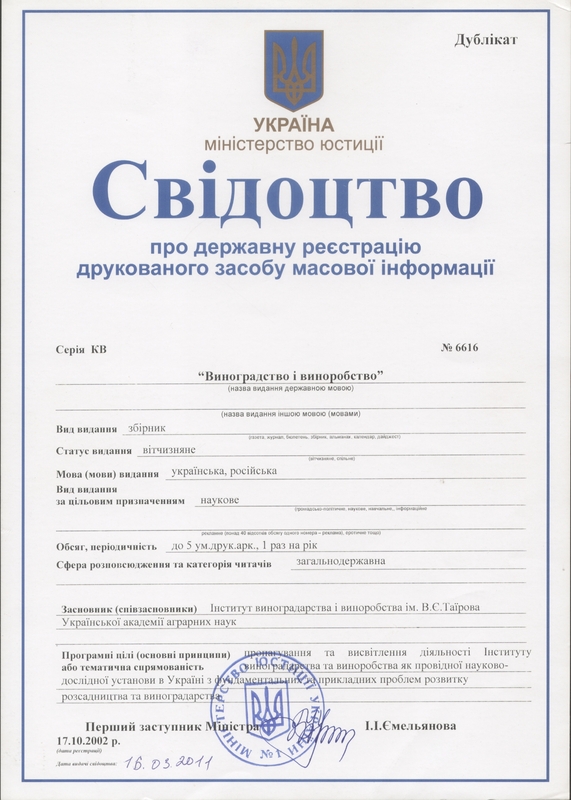 Sci., Senior Scientist Department of Economic Regulation of Nature Management of the Institute of Market Problems and Economic and Environmental Studies of the National Academy of Sciences of Ukraine – «Major imbalances of vertical-sectoral integration and trends in the development of viticulture in Ukraine»; A.G. Topova, assistant of the Department of Economic Theory and Economics of the Faculty of Engineering and Economics of the Odessa State Agrarian University – «The main directions of state support for investment and innovation development of the wine-growing and wine-growing subcomplex». The results of their researches were also reported by young scientists of the National Scientific Centre «V.Ye. 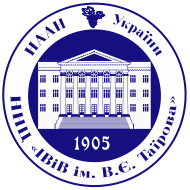 Tairov Institute of Viticulture and Winemaking» NAAS of Ukraine academician NAAS. In their speeches, they emphasized the ideas, suggestions and scientific conclusions of the outstanding scientist in the field of viticulture Alexander Dmitrievich Lyany, which remain relevant today. During the scientific conference, Gain B.S., Academician of the Academy of Sciences of Moldova presented to the director of the National Scientific Centre «V.Ye. Tairov Institute of Viticulture and Winemaking» NAAS of Ukraine academician NAAS Vlasov V.V. the highest award of the Academy of Sciences of Moldova – the Medal «Nicolae Milescu Spatarul» for the special contribution to the development of scientific and inter-academic cooperation in the field of viticulture and winemaking on the occasion of the 60th anniversary of his birth. In the second part of the event, solemnly, in the presence of the chairman of the Odessa Regional Council of Urban A.I., the deputies of the Odessa Regional Council, representatives of the NGO «Odessa-Armenian Community», the head of the agrarian policy department of the Odessa Regional State Administration Petriva I.M., scientists of Ukraine, Moldova, Belarus, The media on Tairov Square in the Kyiv region of Odessa opened a memorable sign to Vasily Egorovich Tairov – a world-famous scientist, professor, vice president of the International Organization of Grapes and Wine, the founder of the National Scientific Centre «V.Ye. Tairov Institute of Viticulture and Winemaking» NAAS of Ukraine academician NAAS. The cutting of the tape was made by the chairman of the Odessa Regional Council Urbansky A.I., President of the NGO «Odessa-Armenian Community» Tigranian SL, director of the National Scientific Centre «V.Ye. Tairov Institute of Viticulture and Winemaking» NAAS of Ukraine academician NAAS «Vlasov V.V. and the deputy of the Odessa Regional Council Sushkov VM, and the removal of a cloth from the memorable sign V.Ye. Tayirou – architect Manukyan AG and the sculptor Manukyan O.M. Also during the celebrations there was a consecration of the memorial sign V.E. Tayirov is the rector of the Odessa Armenian Apostolic Church of St. Gregory the Illuminator by Father Abgar Glychan.